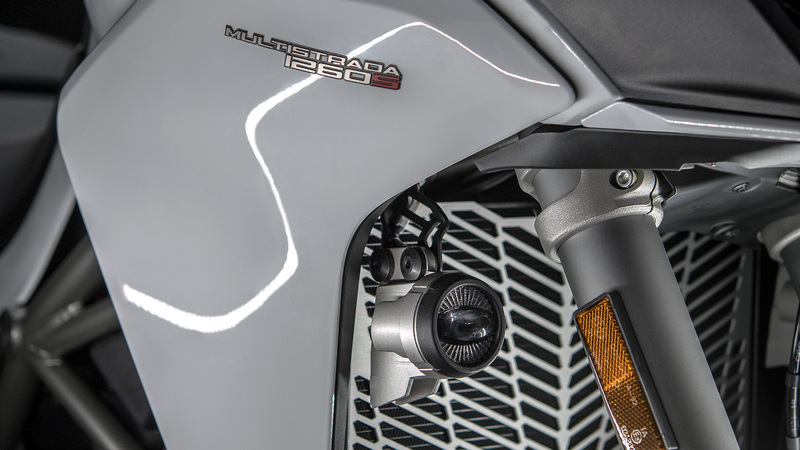 Discover how to maximize the travel potential of your Multistrada 1260. Get ready to experience all of your long rides at a superior level of comfort. Even with a passenger on board! 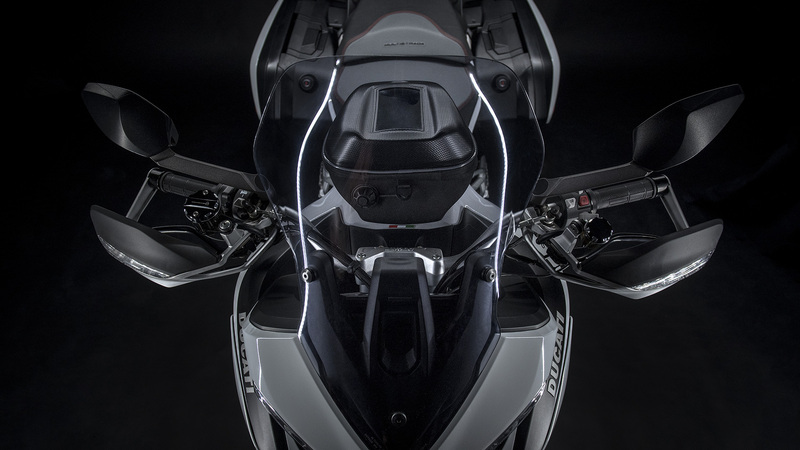 Wherever you take the desire for new experiences, the new Multistrada 1260 will be your faithful traveling companion, with its highly technological content and its extraordinary simplicity of driving. With the accessories of the "touring set-up" you will discover the talent of a true globetrotter: accessories designed to maximize comfort and practicality on the road, such as the elegant smoked windshield of increased dimensions, for better aerodynamic protection over long journeys. Or the central stand, which, when stopping, guarantees an optimal level of stability even when the bike is charged. 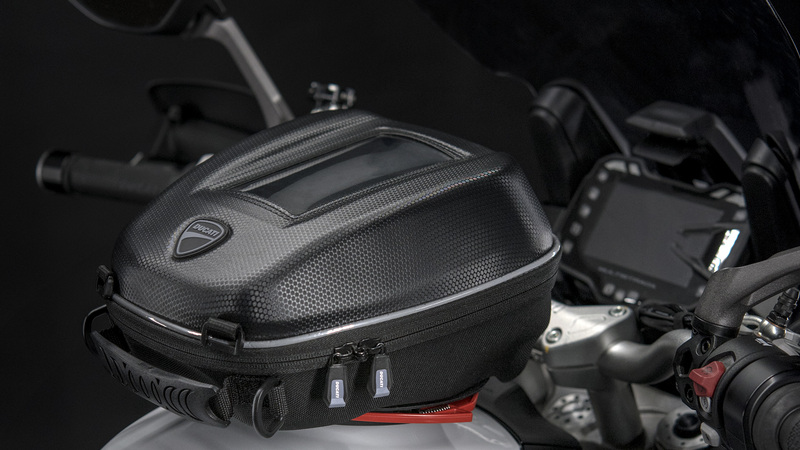 With the exclusive set of 26 and 30 liter side hard cases, you can plan trips in two, without penalizing the dynamic and aesthetic qualities of the bike. While the 5 liter pocket tank bag, with a semi-rigid structure and top pocket for smartphones, will be ideal for storing mobile phone, wallet, documents; equipped with quick release flange for easy transport. From the most valuable components to the most meticulous details, everything about this set up helps you to appreciate every nuance of the route, without worries and with new levels of comfort. 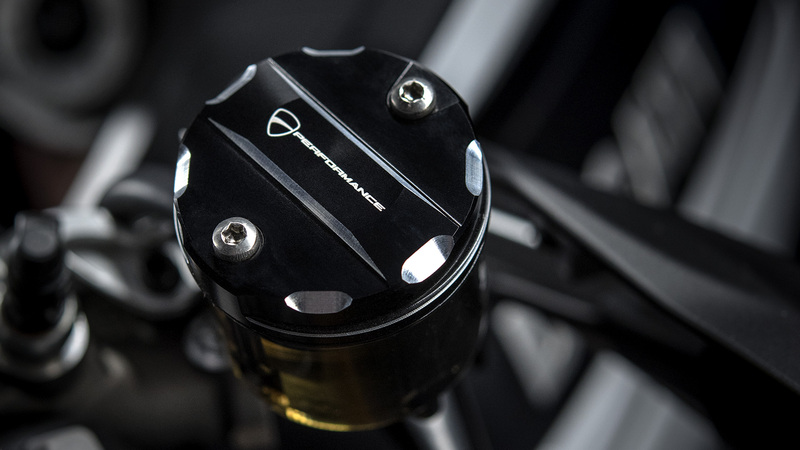 From the Termignoni approved carbon silencer, which makes the Ducati Testastretta DVT engine fluid and full-bodied, the very useful set of additional LED spotlights that guarantee you great brightness, essential for safety when you travel at night or in fog. 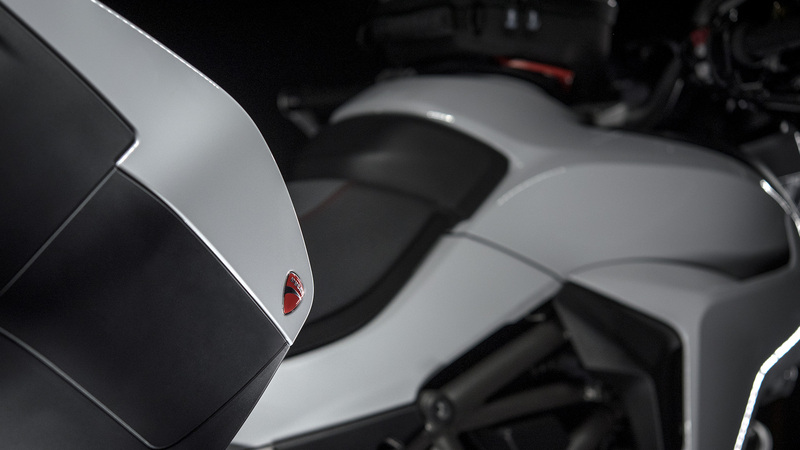 Ducati has also thought of solutions that make a difference for a motorcyclist, such as the practical Hands-free tank cap, which, with its automatic electric opening system when the motorcycle is switched off, allows you to quickly refuel without the need for a key. And to useful details away from home, such as the power extension for your USB charging devices. 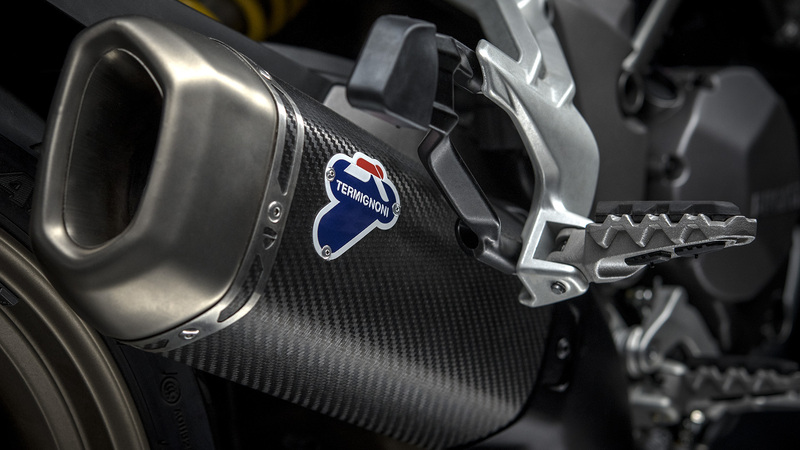 Without ever renouncing the tapered lines that characterize the profile: the set of aluminum frame caps from the full will complement perfectly to its refined design and the brake fluid and clutch tank covers will complete the face of the handlebar area with the unmistakable Ducati style. Ready to leave for the next adventure? The wonders will begin as soon as you are in the seat. 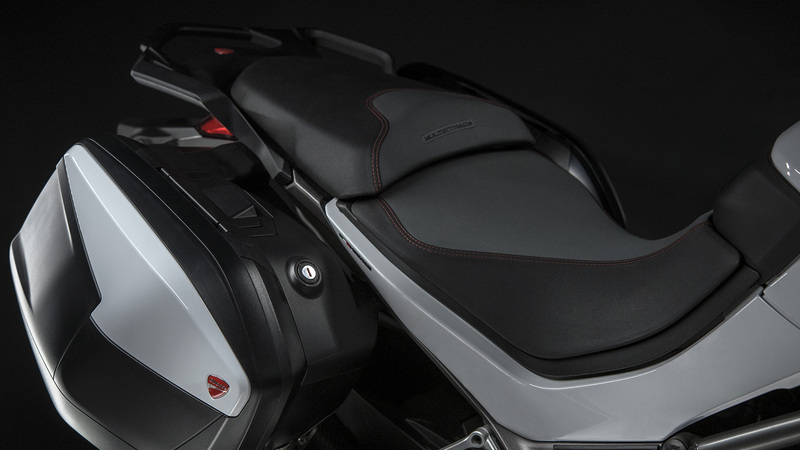 The Multistrada 1260 S maximizes the concept of versatility. 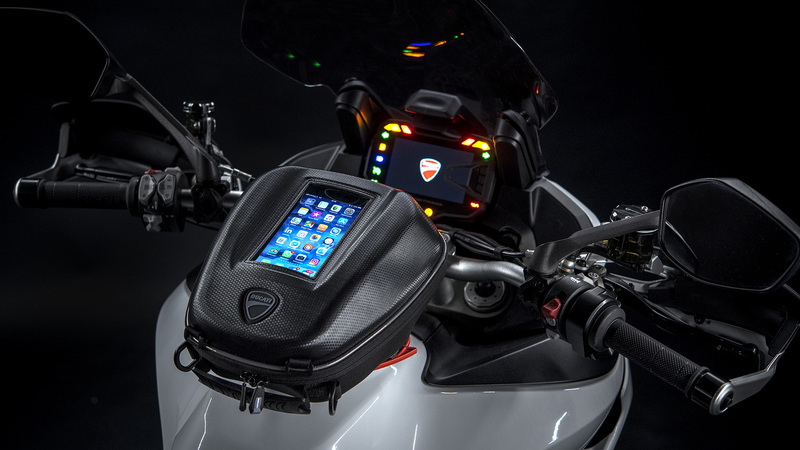 Configure it by choosing from the Ducati Performance accessory packages offered.